Have you been searching online for bar stools but most contemporary materials fail to match your traditional kitchen? 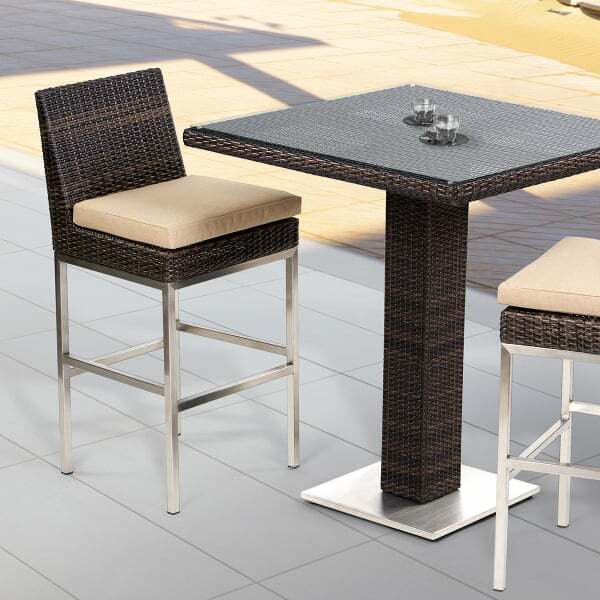 Or maybe the traditional materials, designs and styles are too old-fashioned for your modern outdoor bar? This unique model advances a truly contemporary design and metal outline, yet is accented with old-fashioned dark wicker! This bar stool offers several cushion colors, such as true blue, henna, antique beige, pistachio and others! You'll find this style comfortable, yet built to last with durable materials such as polished stainless steel. 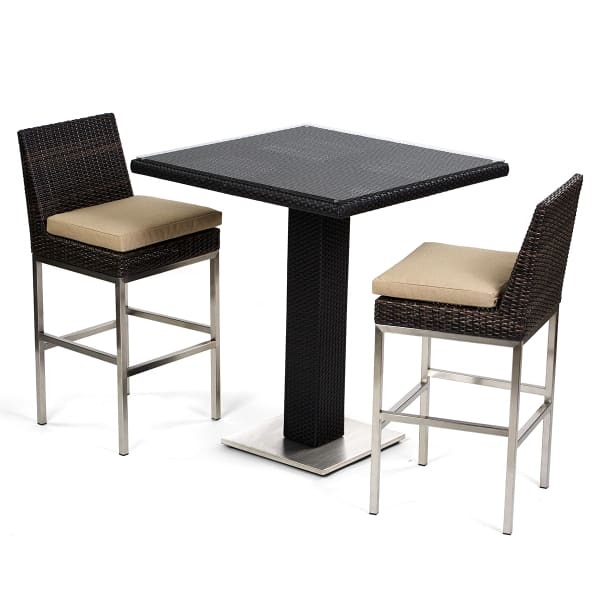 Featured Set Includes: 2 Stools and 36" Square Bar Table.